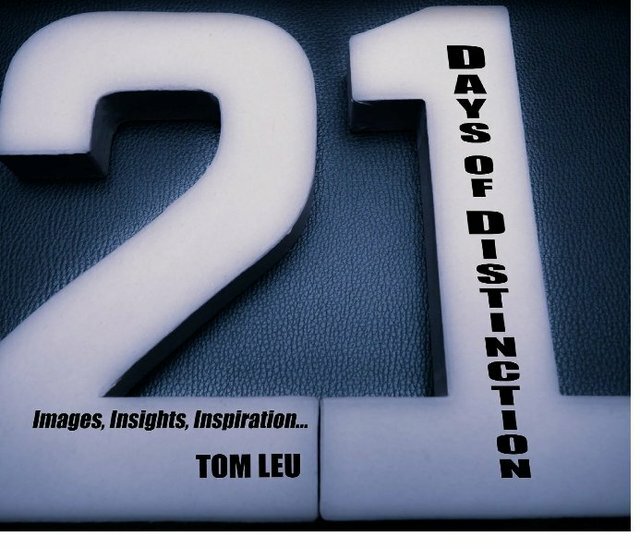 Exploring themes within communications and psychology, "21 Days of Distinction" challenges us to "see things" literally through lenses, and figuratively despite filters. Blending the insights of a teacher, with the encouragement of a coach, Tom Leu "talks shift" by presenting images and insights producing provocative daily distinctions for personal and professional growth. Tom teaches the art and science of "Communichology™" by presenting how compelling communication skills married with provocative psychological insights produce relevant real-world results. Blending his passions for photography, psychology, and rock and roll, Tom "talks shift" by challenging audiences to "see things" literally through lenses and figuratively despite filters.